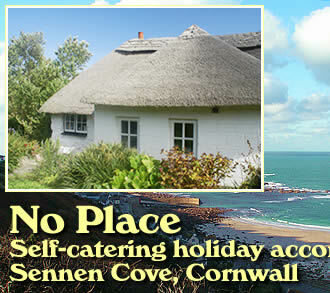 No Place holiday cottage is the ideal retreat for exploring the beaches, cliff walks, villages and tourist attractions of west Cornwall, or for just 'getting away from it all'. 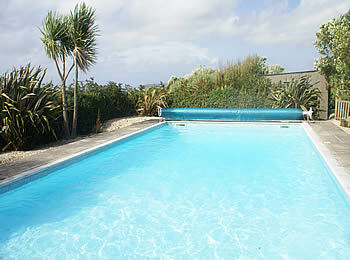 Located high on the cliffs above Sennen Cove, the cottage, which in former times was a Cornish longhouse and which is reputed to be the most westerly thatched cottage in mainland Britain, provides luxury accommodation and a heated outdoor swimming pool in its own secluded grounds. No Place lies just off the coast path, which to the south leads to Land's End, and in the other direction winds around the headlands, coves and clifftop cornish tin mine ruins towards St Just. 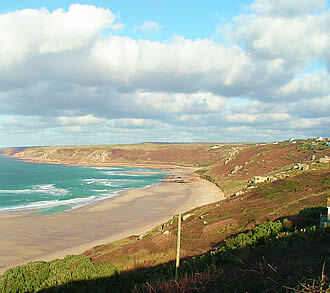 The village of Sennen Cove, with its wide beach, harbour, pub and cafes, is a short walk down the cliff. There are two ground floor bedrooms, one double room with en suite and one twin room which has open-tread stairs up to a little snug. Facilities include a fully equipped kitchen/diner and a sitting room with woodburner stove. The welcoming interior retains many original features. Low beams and doorways complement the high standard of furnishings. 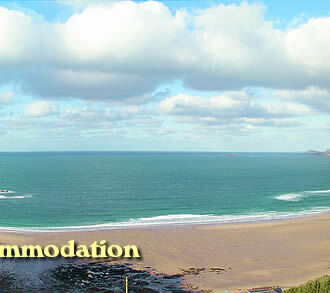 What could be more enjoyable, after a day surfing and building sandcastles or walking the many coastal paths here on your doorstep, than to return to this delightful retreat. No Place is set within enchanting grounds and enjoys sea views. Traversed by a little stream and a bridge (please be careful with young children), the enclosed garden is divided into separate areas, with a fabulous summer-house and a large activity apparatus including a swing and slide. 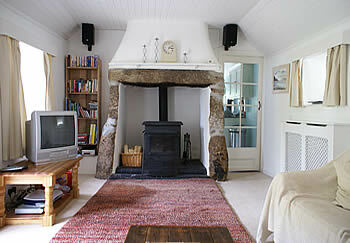 The cottage is available all year (Friday changeover). Off road private parking for 2 cars. No pets. No smoking.